Alex Mullen is PI of LatinNow, a 5-year ERC project on the Latinization of the north-western Provinces. 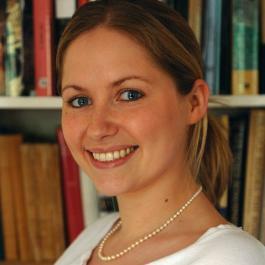 She became Assistant Professor at the University of Nottingham in October 2015 and was previously Post-Doctoral Research Fellow in Classics at All Souls College, University of Oxford (2011–2015) and Lumley Research Fellow in Classics at Magdalene College, University of Cambridge (2008–2011). Her main research interests lie in the application of contemporary sociolinguistics to the ancient world and the integration of linguistics and archaeology to write socio-cultural history. Her book, Southern Gaul and the Mediterranean, won the American Historical Association’s 2014 James Henry Breasted Award. She is currently working on two new books: Entangled Worlds: Britain and Gaul in the Late Iron Age and Roman Periods and (with Olivia Elder) The language of letters: bilingual Roman epistolography from Cicero to Fronto. She directs the Code-switching in Roman Literature network and co-directs The Canterbury Hinterland Project. A. Mullen (2013), Southern Gaul and the Mediterranean: Multilingualism and Multiple Identities in the Iron Age and Roman Periods, Cambridge University Press, Cambridge. A. Mullen and P. James, eds., (2012), Multilingualism in the Graeco-Roman Worlds, Cambridge University Press, Cambridge. A. Mullen (2015), “Bilingualism and Multilingualism in the Roman World”, in Clayman, D. (ed. ), Oxford Bibliographies in Classics, Oxford University Press, New York. A. Mullen (2013), “The language of the potteries: communication in the production and trade of Gallo-Roman terra sigillata”, in Fulford, M. and Durham, E. (eds), Seeing Red: new economic and social perspectives on terra sigillata, ICS, London, 97–110. A. Mullen (2013), “New thoughts on British Latin: a curse tablet from Red Hill, Ratcliffe-on-Soar (Nottinghamshire)”, Zeitschrift für Papyrologie und Epigraphik 187, 266–272. A. Mullen (2011), “Reflets du multiculturalisme: la création et le développement du gallo-grec”, in Ruiz Darasse, C. and Lújan, E. (eds), Contacts linguistiques dans l’Occident méditerranéen antique, Casa de Velázquez, Madrid, 227–239. A. Mullen (2007), “Linguistic evidence for ‘Romanization’: continuity and change in Romano-British onomastics. A study of the epigraphic record with particular reference to Bath”, Britannia 38, 35–61. A. Mullen (2007), “Evidence for written Celtic from Roman Britain: a linguistic analysis of Tabellae Sulis 14 and 18”, Studia Celtica 41, 29–43.